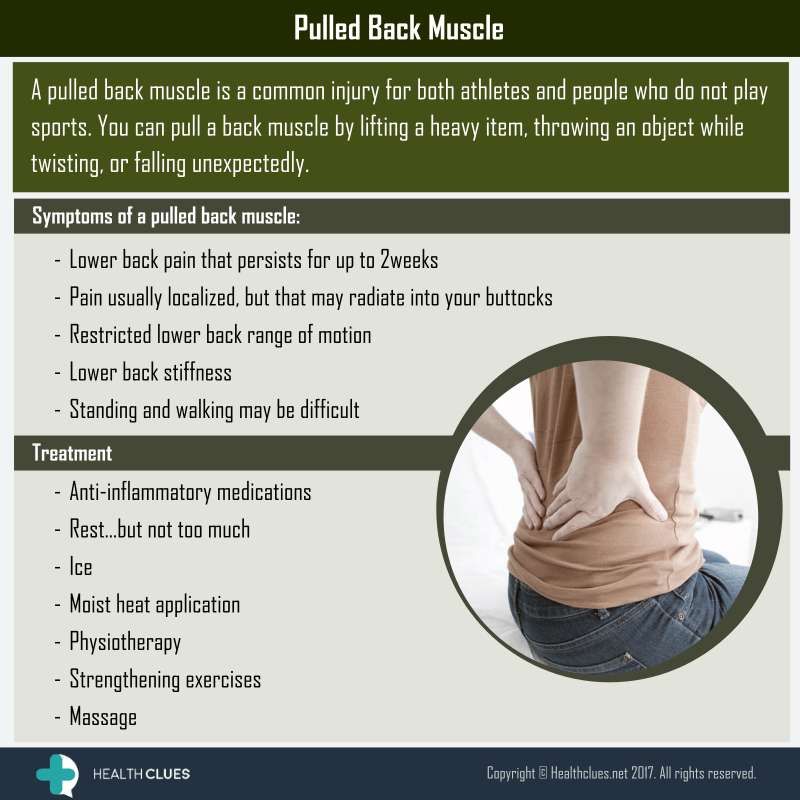 A pulled back muscle is a common injury for both athletes and people who do not play sports. You can pull a back muscle by lifting a heavy item, throwing an object while twisting, or falling unexpectedly. Back Pain, Infographics back pain, low back pain, Pulled back muscle, radiating pain, RICE therapy, sports injury. permalink.